Frederick Douglass became a famous abolitionist. He fought hard to end slavery. He knew what it felt like to be a slave. Frederick Douglass’s mother was a slave. His father was a white man, possibly the owner of the plantation where his mother worked. Douglass believed that learning to read changed his life. Frederick Douglas was born in Maryland around 1818. He was named Frederick Augustus Washington Bailey. He lived with his grandparents and only saw his mother a few times before her death. When he was 8-years-old, Frederick went to live with a carpenter in Baltimore. Although it was against the law, the carpenter’s wife taught Frederick to read. He learned about abolition there. Frederick was jailed because he planned to escape from Covey. Two years later, he escaped from Baltimore and fled to New York. 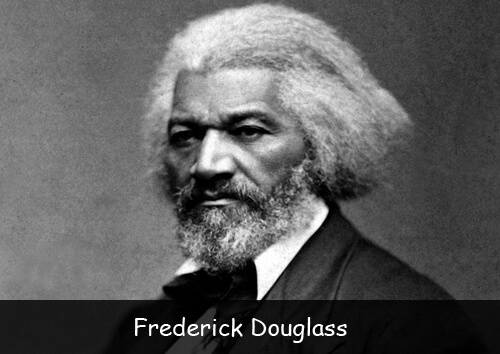 He changed his name to Frederick Douglass and settled in Massachusetts with his wife. He joined a church, as well as several abolitionist organizations. When he was only 23-years-old, he gave his first speech about abolition. He was nervous, but his speech was powerful. Most abolitionists were white and couldn’t give a firsthand account of the evils of slavery. In 1845, Douglass published his autobiography, Narrative of the Life of Frederick Douglass, an American Slave, Written by Himself. Douglass became a well-known author and speaker and spent the rest of his life working for the rights of African American people and women. Question: Why was it against the law to teach slaves to read? Answer: Slave owners feared that if slaves could read, they were more likely to rebel or try to gain freedom. Slaves could read powerful messages about abolition and write and share their own ideas. Visit Scholastic to learn more interesting facts about Frederick Douglass. Declan, Tobin. " Fun Facts about Frederick Douglass for Kids ." American History for Kids, Apr 2019. Web. 21 Apr 2019. < https://www.americanhistoryforkids.com/frederick-douglass/ >.